Night-vision devices have made shooting a 24-hour activity. 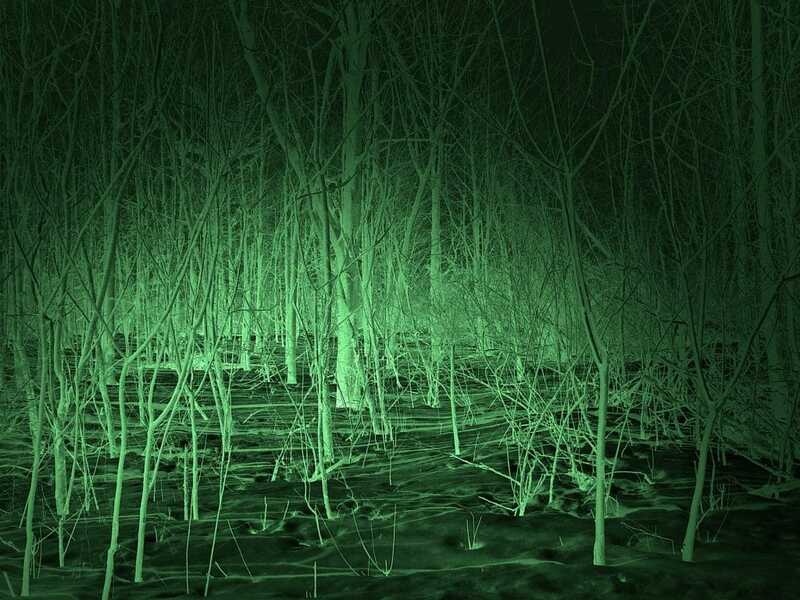 night vision devices are generally used among civilians for hunting. Military operations, of course, have other uses. Finding a good night vision scope with optimum capabilities is a daunting task sometimes. To help you with this, we have come up with a list of some of the best night vision scopes for your AR-15 rifle. Honestly, there are quite a few reasons you might want to acquire a night vision device. Of course, it lets you see things in the dark. It’s not exactly like in broad daylight. Instead, you usually have a somewhat greenish tinge - very close to what you see in movies. Their use is strictly regulated by law in different states. So be sure to check what rules apply. For example, using illuminated night vision devices for hunting is prohibited in California. Mounting a night-vision device on your AR can be helpful for home defense. In such situations, you’ll have an advantage over the invaders. Night vision riflescopes are extremely helpful in eliminating pesky animals and varmints. Critters such as raccoons and skunks prefer not to come out in the open during daylight. These and other nocturnal varmints which may pose a problem for crops and grain dumps on a ranch can also be eliminated with ease. Even if you don’t have a farm, they might be a nuisance around the house generally, especially getting into the garbage cans. Another more prominent use of night vision rifle scopes is hog hunting. With the increase in the population of wild hogs across parts of the country, hog hunting has become as much a safety measure as a leisure activity. The population of wild hogs has surpassed 2.6 million in Texas alone. Hog hunting season is open almost for the entire year in many states. The wild hog is a nocturnal mammal and is quite aggressive at times. You don’t want to face a screaming hog coming towards you at 30 miles per hour. Wild hogs are diurnal during Winter, Fall and Spring and become nocturnal during Summers because they lack sweat glands. They also make this adaptation to protect themselves from predators. But since they have become pests in some areas, we also have to make our own adaptations. Apart from these shooting purposes, night vision scopes can also be used for wildlife observation, camping, night fishing, boating, night hiking and other activities. A night scope is similar to an optical rifle scope with a few differences. Let’s take a look at some of them in detail. We’ve also tossed in a review of one thermal imaging scope. Thermal imaging scopes call for similar features but use a different way of identifying targets. Night-vision scopes generally use a Picatinny rail to be mounted on an AR-15. A good night vision scope should be easy to mount over your rifle. After all, you’re probably going to want to use your gun during the day too. Optical Power is the ability of your scope to zoom in the target image. Generally, a night vision scope under 10x power will let you acquire or change your targets easily. Anything greater than 16x will be more expensive, delicate and bulky and probably of little use for you unless you’re dealing with pretty distant targets. 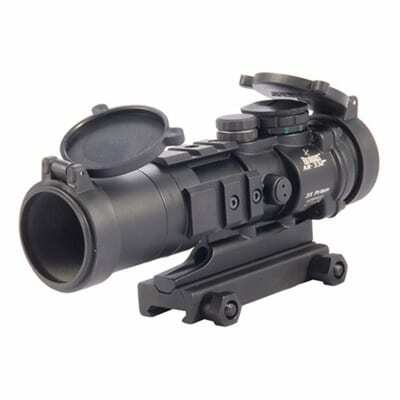 A good night-vision scope must be lightweight and easy to carry. Carrying a heavy load while hunting may be problematic. Also, you won’t like your bulky night vision scope to add more weight while trying to aim. Apart from that, long eye relief is essential while you use the scope. It protects you from recoil, but also gives you some peripheral vision in case something unexpected is nearby. With a good night vision scope, you should be able to see well enough to hit your mark at 150 - 200 yards. However, there will be a minor difference between target detection and target recognition. Scopes with ranges more than 300 yards are quite heavy and expensive, plus they require special attention to protect them from any damage. It really depends on what your purpose is, but we assume in most case you’ll be in the shorter range. This category of scope tends to be more fragile than other scopes. You have to take special care to avoid jarring it unnecessarily. However, it’s still important to look at the sturdiness of your prospective purchase and hope you can get one that is at least a bit forgiving. Since night-vision scopes are required to shoot at night, properly-illuminated reticles are an important feature to look for. They can also feature IR (infrared) light illumination which is helpful in spotting targets at long ranges. Last but not the least, you will not like your night vision scope to cost you a fortune. There are numerous night vision scopes for your AR-15 which meet optimum standards and are inexpensive. To aid you in your decision, we have outlined some of them below. Now that we know a bit about what you should hope for in a night-vision scope, let’s get into some specific models. Manufactured from industrial-grade aluminum and all components cased inside a hard coat anodized coating, the Burris AR-332 is an amazing night vision scope for your AR-15. This is a prismatic scope with a 3x fixed optical power to let you focus on your targets precisely. Suitable turret adjustments let you adjust windage and elevation with a ¼ inch MOA. The scope features a fixed focal plane for quick and easy target acquisition. The large objective lens size of 32mm gives you a wider sight picture. The scope features an illuminated ballistic reticle which makes it easier for you to spot the target. A long eye relief of 2.5” offers you the liberty to get a better perspective view of your surroundings. The scope measures 5.3” in lengths and weighs only 14.20 oz. It is powered by a CR-2032 battery which has a life of 500 hours on low and 200 hours on bright illumination settings. The scope is priced decently and is good for hunting and home defense. The Armasight Drone Pro Night Vision Scope is equipped with a wireless remote control and video recording functionalities to get you most out of your hunting trips. The scope has a magnification of 10x with a long eye relief of 4.5cms. It is fully waterproof and can operate in temperatures ranging from -40 to +50 degrees celsius. It has a high-end 752 x 582 OLED display to give you a clear and bright picture of your target. The high-performance CCD camera lets you record videos. 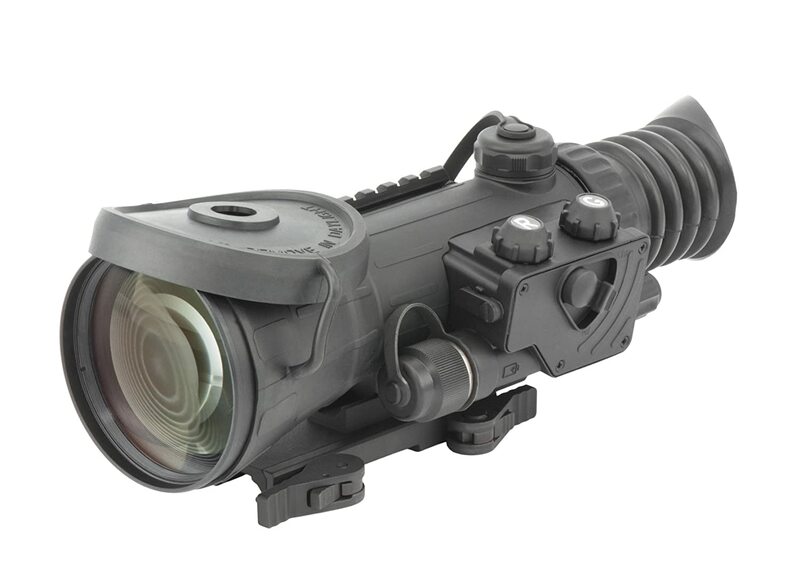 The detachable long-range IR illuminator allows you to comply with state laws under different shooting conditions. The scope is filled with dry nitrogen to prevent and fogging over the lens. Also, it makes the setup more compact and sturdy for rugged usage. The scope weighs only 1.02 kilograms and is easy to carry. Powered by two lithium-ion batteries, this unit can run up to two hours in fully-operational mode. 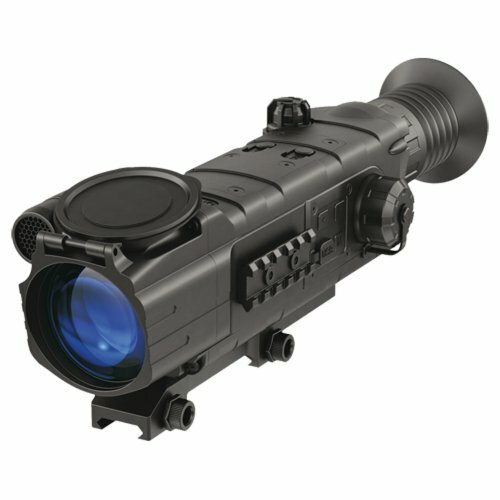 The Armasight Vulcan features a fixed 4.5x magnification with a detachable long-range infrared illuminator. With a mil-dot reticle and red/green illuminated (adjustable brightness) reticles, it is easy for you to spot and shoot your target precisely. It features a ½ MOA adjustment with target turret knobs. The scope has a quick-release mount for easy attachment and detachment to your AR-15 rifle. The scope is powered by CR123 or AA batteries with a battery life of up to 60 hours. You will get a low-battery warning when the battery is about to run dry. The auto-shutdown feature lets you save battery power if you forget to turn the scope off. The long eye relief is helpful in spotting your target while maintaining different positions. The scope is waterproof and weighs only 0.97 kilograms, making it easy to carry while hunting. All the components are sealed in a high-grade anodized aluminum shockproof case. The manufacturer offers a 2-year warranty on the device protecting you from malfunctions for a good amount of time. The Pulsar N750 Digisight is probably the best night vision scope for the money on our list. It features 9310 style rails on the base and the sides in case you need to attach a flashlight. The scope is similar to a Gen 3 night vision scope, with the major difference being its digital operation and grayscale images. The N750 has an amazing range of more than 800 yards. A good shooter can hit a 10” target round after round at 800 yards. 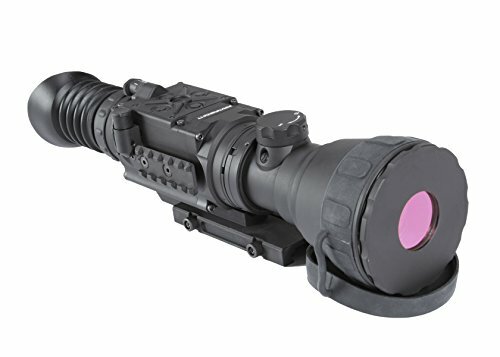 The scope can be used in broad daylight due to its bright-light resistance. It features a wireless remote control and an intuitive easy-to-use interface. The built-in flip caps protect the lens from any damage while the scope is not in use. The scope is somewhat bulky, but with its jampacked set of features it offers a good deal for your rifle. 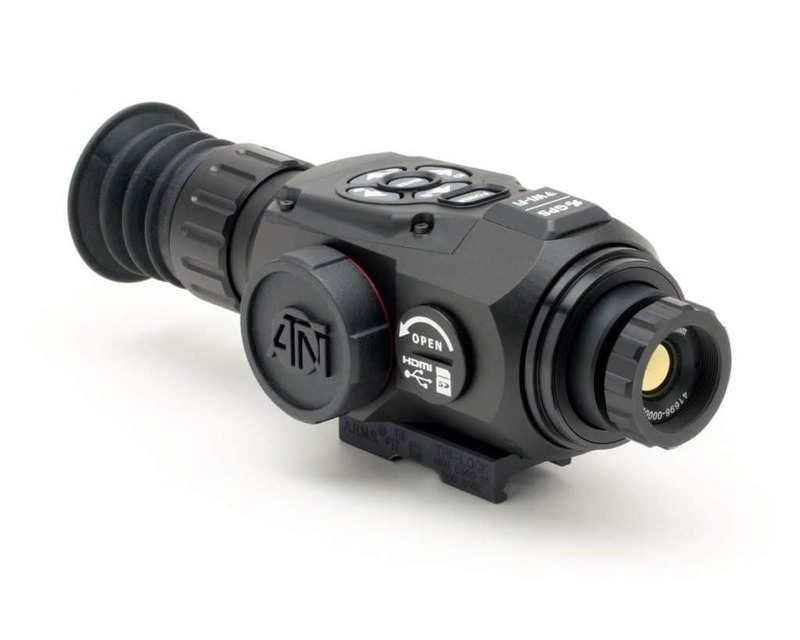 This amazing thermal-imaging scope from ATN is a powerhouse of features in itself. Night vision uses surrounding lights to illuminate the image, whereas thermal images pick up heat signatures from objects and beings. This scope is almost automatic in operation. Featuring a variable optical power of 1.25 - 5x, it has a built-in rangefinder with a ballistic calculator which lets you make changes to your point of impact without target turrets. You can record photos and videos of your shots with the built-in camera using a micro-SD card. The patented Recoil-Activated-Video feature eliminates the need to turn the video on and off everytime you shoot. Apart from all this, the ATN scope has a 348x288 thermal resolution with a full-HD display, wi-fi, Bluetooth, e-compass, 3D gyroscope and geotagging features. The scope is firmware-upgradeable letting you match your optic functionalities with the latest technologies and trends. The scope can be mounted on the Picatinny rail of your AR-15. The fully-automatic functionality of this thermal scope makes using it almost effortlessly and 100% precise. With all these features in a small compact body, the ATN Thor HD Thermal Riflescope has been priced aptly. A night vision scope has a multitude of uses, even though you’ll probably be using it for hunting. Like a normal rifle scope, a night vision scope relies on several basic features like resolution, magnification, and reticles. Choosing a good scope depends totally on your needs and intended use. With a lot of amazing and technically-advanced options available, night vision scopes can help you make hunting a 24/7 activity.